P&B Weir Electrical Ltd manufacture Earth Tape Repair kits and other equipment for substation earth tapes. We are able to produce portable earthing for use on outdoor high voltage substations to meet ENA technical specifications 41/21. 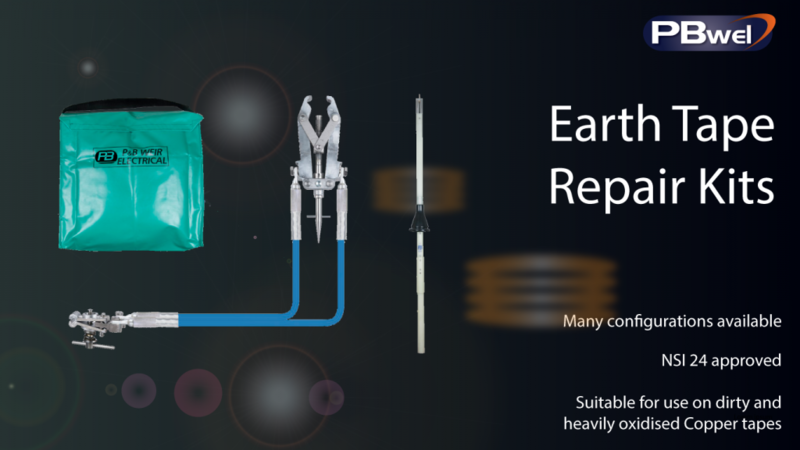 Portable earthing kits have been developed to provide safe and secure high voltage connections to dirty or heavy oxidized copper/aluminum earth bars, stubs or stranded conductors, ranging from 25x3mm to 100x6mm. The CE57 Earth Tape Clamp provides a drain earth before fitting a bridging earth suitable for fault protection. Theft of earth tape is normally of the above ground connection to the bases of the primary plant, but less commonly, earth tape is also taken from underground. Earth tape defects range from deterioration of welded underground jointed interfaces on an earthing grid to a high resistance bolted connection between a tape and the primary plant. Both defect types can result in a depleted earthing system that may present danger from electrocution, burns or injury from flying debris.